We had a read a thon and the kids got to wear pajamas to school and, with the exception of having a normal math time, got to read the entire day. 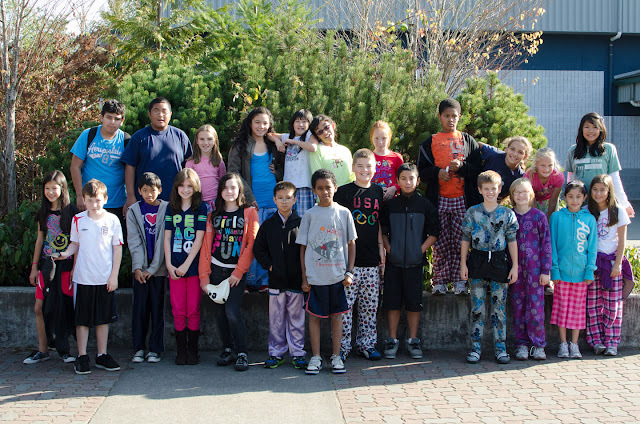 A huge percentage of my class wore their jams and several had cool footy pajamas! One of the twins is in my class all the time and the other only for math. 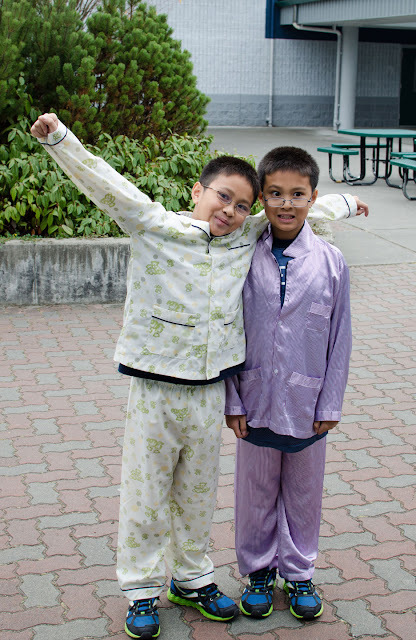 The only for math boy brought pjs for JUST math (his class was not read a thoning)... 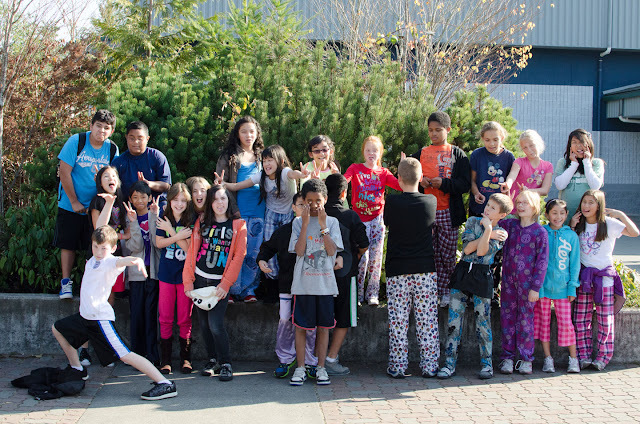 They are just how they look-creative, quirky and full of energy! Most of my class plus a sixth grader that didn't go to camp... nice pose. Silly pose.. I love what several of them did for this one! !